As talks on BNP chief Khaleda Zia’s release on parole make the rounds, the party has made it clear that it has no stake in it and that it was up to the former prime minister and her family. "We didn't have any conversation with her (Khaleda) over parole as it's not an issue of our party. 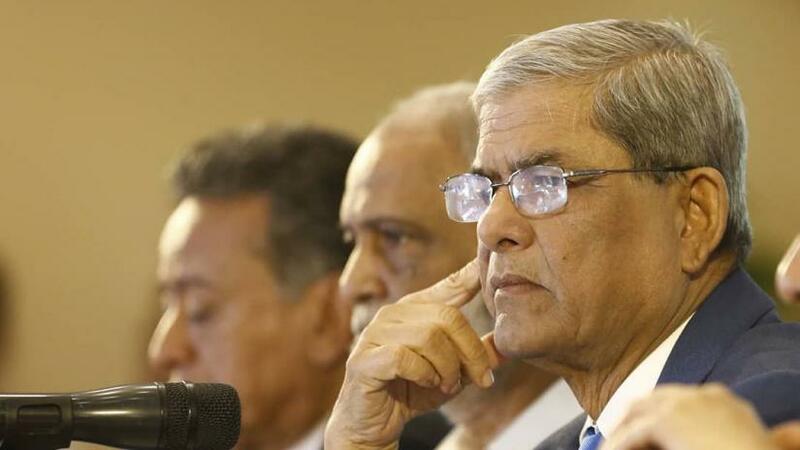 It's a matter completely related to Khaleda Zia and her family," Secretary General Mirza Fakhrul Islam Alamgir said on Monday (Apr 15). His statement came while speaking to the media paying homage to BNP-founder Ziaur Rahman at his grave with leaders of newly-formed convening committee of Jatiyatabadi Ulema Dal. On Sunday (Apr 14), Mirza Fakhrul and two other senior leaders, met Khaleda at Bangabandhu Sheikh Mujib Medical University (BSMMU). Responding to a query from the press on Monday, he said that their discussion with Khaleda centred on her treatment and lawsuits. Khaleda urged the people to remain united to ‘restore’ democracy in the country, according to the BNP secretary general. Seventy-three-year-old Khaleda has been in jail since a special court convicted her in the Zia Orphanage Trust graft case on Feb 8 last year. Amid her falling health, she was moved to BSMMU from Old Dhaka Central Jail on Apr 1 for her better medical treatment.